Electoral rolls are the nearest thing Australians have to census records, and hence are extremely important genealogy tools for local, family and social historians. This roll for the Forrest Division of Western Australia in 1949 has over 600 pages. Entries are arranged alphabetically within each subdivision. 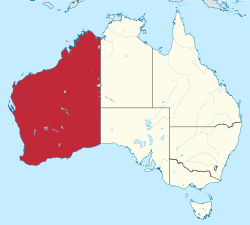 You will find the details of tens of thousands of voters who resided in Western Australia at this time, and who were entitled (and registered) to vote. Importantly, the roll includes the names of many women qualified to vote for the election of members of the Commonwealth parliament. The electoral subdivisions of Forrest covered are: Albany, Bunbury, Collie, Forrest, Katanning, Nelson, and Sussex. Maps of each subdivision are included.